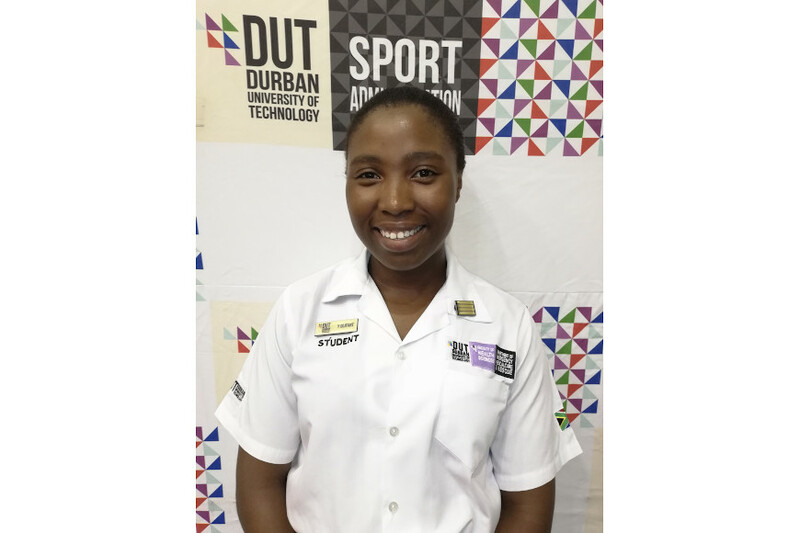 The Durban University of Technology’s (DUT’s) Yenziwe Olifant is excited and in preparation for the grueling Comrades Marathon, the ultimate ultramarathon race, taking place on 09 June 2019. Olifant, a fourth year student, who is studying Bachelor of Health Sciences in Emergency Medical Care and Rescue (BH: EMC&R), is taking part in the Comrades as a novice which means it is her first time entering such a mammoth race. The Comrades Marathon is an ultramarathon of approximately 89 km which is run annually in the KwaZulu – Natal Province of South Africa between two cities of Durban and Pietermaritzburg. It is the world’s largest and oldest ultramarathon race. The up run race will start at 05h30am in Durban. For Olifant, as a young female, she is very passionate about emergency care and body fitness. She loves the sport of running as she believes it is a battle of the mind, meaning body fitness only counts for 20% and brain fitness is 80%. She was never active in sports or able to run when she had started her BH: EMC&R programme in 2015 at DUT, but because the course requires every student to maintain a certain level of physical preparedness she had to start and learn to run. “I now run because it grounds me and shows me that nothing is impossible when you put your mind into it. The mind is a very interesting organ. It is amazing, not so long ago I thought completing 42km is too far-fetched, and now I have run and qualified for the 89km Comrades Marathon. It is all how you train your mind,” she said excitedly. She added that running is nothing more than a battle with one’s brain that reminds one that even when one is weak, one is strong at the same time. The sporty lass has taken part in a few running events both short and long distances. Her achievements have been the Hillcrest Marathon, Durban City Marathon and the Mandela Marathon which started from Imbali in Pietermaritzburg and finished in Howick at the capture site of Mandela. Olifant does follow a training plan which involves doing hills, speed, long distance, strength and core training. She started training for the Comrades in August 2018, and it has been her dream to finish it. In terms of her training hours, she added that she has no certain hours that are set aside for training, however, she does try to put in at least two hours a day for training. Olifant stressed that she also has to be strict with her diet. “This is a huge challenge because temptation is all around me every day. My diet involves avoiding all fried food and processed food. I eat a lot of green vegetables and natural food like oats, fruits, fish etc. I also eat five to six meals a day,” she said. She also emphasized how important it is to have a role model to guide you. Olifant said her biggest role model is Mrs Dagmar Muhlbauer, who is one of the lecturers at the EMC&R department. “She is my role model because firstly she is one of most respected female paramedics in South Africa because of the great work she has accomplished, and also for her ability to maintain a high level of fitness. She is also very active in sports, she swims, cycles, runs and I am also working on being efficient in these sports,” she said. For Olifant, balancing her studies and training can be a challenge at times, nevertheless, her training helps keep her focused, alert and energised in class which is a bonus. Besides looking forward to the Comrades Marathon, she hopes to also tackle other races. “I will be running the 60km Gijima.Com’s Comrades Marathon route tester on 05 May 2019. In the near future, I would like to take part in the 2 Oceans Marathon which is in Cape Town and the prestigious New York City Marathon in America,” she said.